One spinoff for those who love to role-play is a Dungeons and Dragons club. At the heart of D&D is heroic fantasy storytelling. Players create characters that often times are drawn from graphic novels, young adult fantasy books, and favorite television shows. Led by a Dungeon Master, characters such as elves and archers go on quests for power, treasure, rescue missions, and battles. For those unfamiliar with D&D, the set-up can be a bit intimidating. What dice do you need, what books should you order, and how do you start? D&D Player’s Handbook by Wizards RPG Team: As the D&D Bible, the Player’s Handbook has everything players need to know about developing characters, starting with skills and background history along with spells, animals, and equipment. Depending on how many players you have, owning multiple copies of this book is essential for engagement and moving along the initial start-up process. The D&D website can also help novice players begin developing main character traits before the Dungeon Master rolls other skills. D&D Dungeon Master’s Guide by Wizards RPG Team: Another core rulebook, the Dungeon Master’s Guide helps the Dungeon Master weave tales. A Dungeon Master can make or break a game and player engagement. Other players can lack experience as long as the Dungeon Master possesses expertise and patience. This guide offers optional rules and a variety of fantasy worlds to enhance a campaign. D&D Monster Manual by Wizards RPG Team: A third must-have book, the Monster Manual is exactly what it sounds like: a book to create fantastical beasts and classic D&D creatures: Dragons, giants, and monsters, oh my! D&D Starter Set: Fantasy Roleplaying Game Starter Set (D&D Boxed Game) by Wizards RPG Team: For those, like me, who all of this seems initially overwhelming but incredibly geeky awesome to, the starter set is a great way to go. Even with an experienced Dungeon Master, the starter kit helps new and old players work together on their first campaign. The kit comes with pre-made characters, all required dice, a rulebook, and a story to follow. Once teens master the kit, they can move on to more successfully designing their own D&D world, which is extremely empowering. Along with books, you’ll need starter dice including: 4-sided, 6-sided, 8-sided, 10-sided dice, 12-sided, and 20-sided dice. Having plenty of character sheets is also a bonus, and PDFs can be printed from the D&D website. 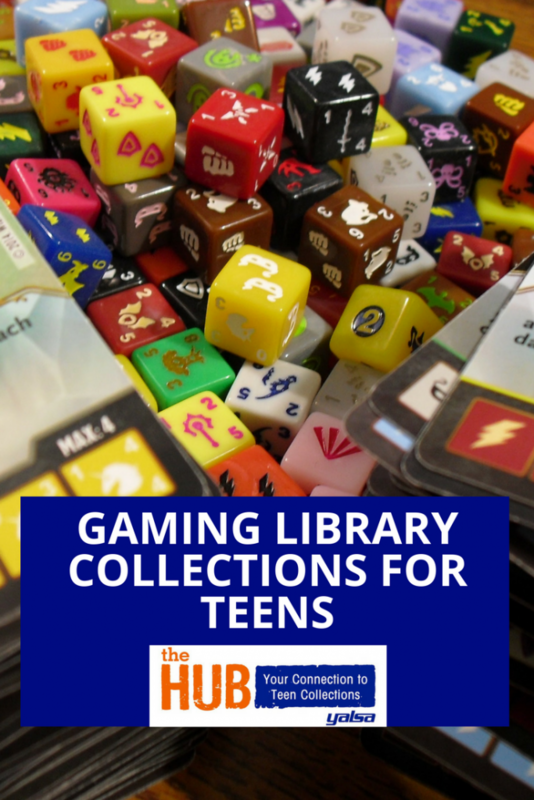 For those who become entranced by D&D or want similar options with equal appeal, you may also add new games to the library such as The Settlers of Catan, SUPERFIGHT, and Magic: The Gathering. Magic is part of the D&D family and can be played with just two people using specialized cards to create spells and destroy creatures. Catan is a board game where players build settlements and learn how to trade. SUPERFIGHT requires players to use character and attribute cards to debate who would win a battle. For instance, Hermione might be armed with Angry Birds but cannot stop sobbing. Her opponent might be Sasquatch who owns a lightsaber and has brain freeze. The group decides based on cardholders’ reasoning. All of these games summon critical and imaginative thinking. Many teens love role-playing as a way to take on a new persona and explore new realities. They gain confidence and feel more comfortable in the library. Surround them with fantasy book displays and chat up intelligent pop culture. 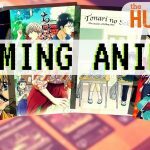 With Netflix releasing the second season of Stranger Things on Halloween 2017 and the possibility of The Big Bang Theory coming to an end, why not begin generating interest in fantasy and role-playing through games at the library? As for my character? This teen had transformed me into a Ranger 3 Wood Elf from an artisan guild. I rode a black panther and used my talents to benefit the world—it is true, this is what librarians do. 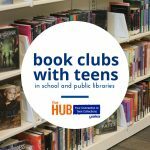 With this teen’s help, we transformed the way we look at library resources. Christine Frascarelli is a current MLIS student at the University of South Florida, a volunteer for a literacy organization, and a former urban librarian as well as non-profit program manager. She loves to travel the world with a good book tucked away in her bag.